Last week, we introduced the Disqus Top Five, a new series to showcase and recognize the top websites across the Internet. To kick off the festivities, we invited nominations for your favorite science websites. We’re talking space, physics, animal science, artificial intelligence, and more. 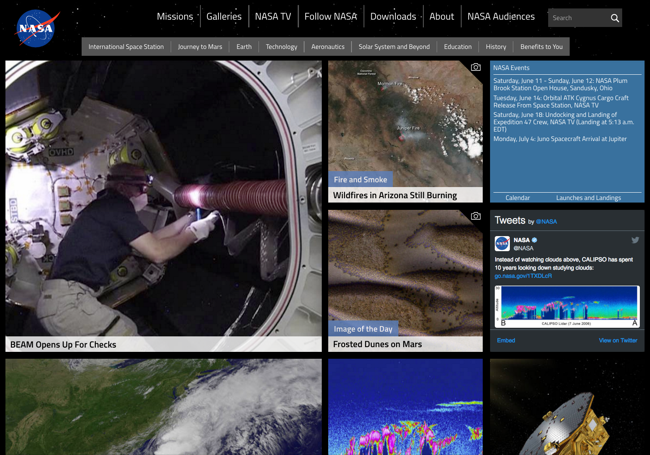 Whether it’s news, research, or debates, science websites span a broad spectrum of topics and embody the desire for exploration and ingenuity. With more than 50 different sites nominated, we decided to highlight not five but ten websites instead. 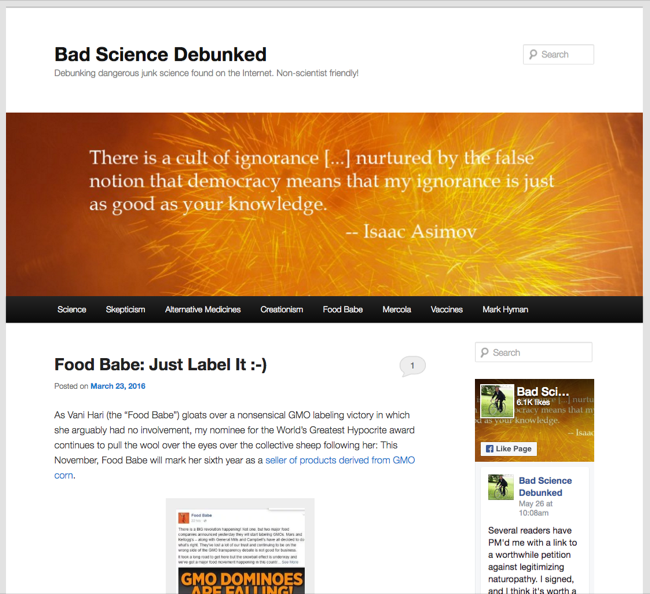 Without further ado, here are YOUR top ten science websites on the Internet. 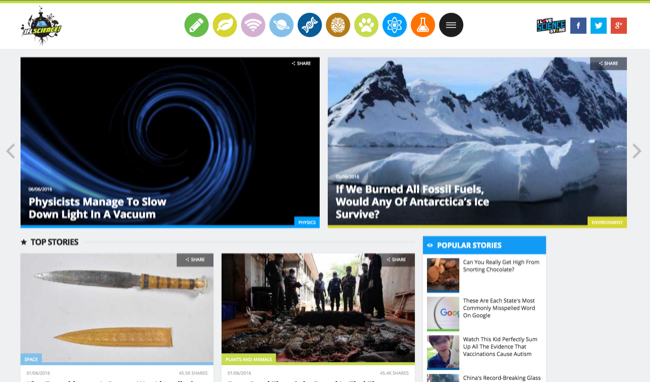 Vote for your favorite science website via the poll at the end of this post. You probably had a copy of the venerable magazine lying around in your house growing up. Today, National Geographic continues to astound us with breaktaking and iconic photography from around the world. It also has an awesome science and space section covering everything from volcanoes, crocodiles, and exploring the outer regions of the Milky Way. 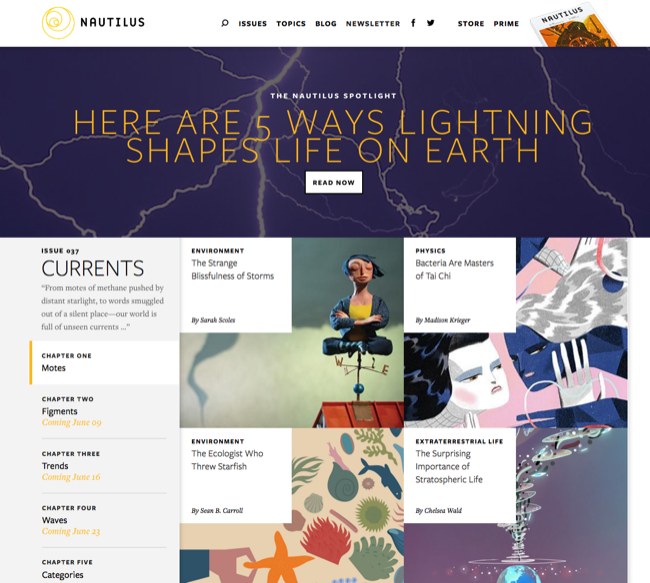 Nautilus is not your average science magazine. Each month they feature a single science topic, reporting from a myriad of perspectives to help readers understand the broad scope of subjects as complex as artificial intelligence, immortality, and extraterrestrial life. 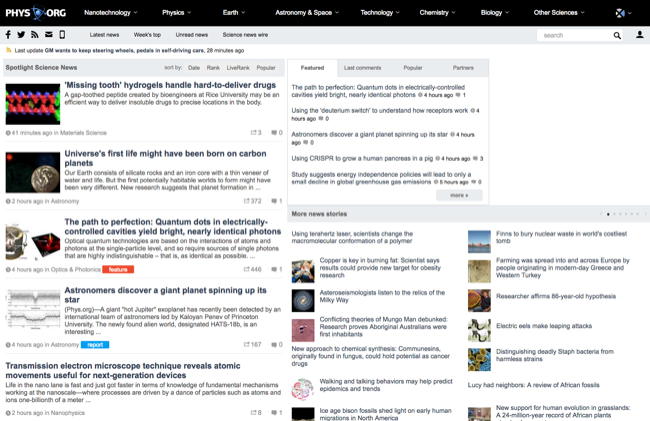 Science Alert features a large variety of cool and interesting science news. Take for instance, this recent story about the world’s largest math problem that was solved, requiring 200 TB of data and the help of a supercomputer. Or this story about Chile’s excess solar energy production that has forced the country to sell it basically for free. Whether you are a scientist or not, there’s a little bit of everything for anyone with a curious scientific mind. Chances are one of your Facebook friends shared/liked a post from I f****** love science’s Facebook page that is liked by over 24 million people. IFL Science covers interesting science news that is accessible to anyone, or the “lighter side of science.” It’s the science news your friends are probably talking about. 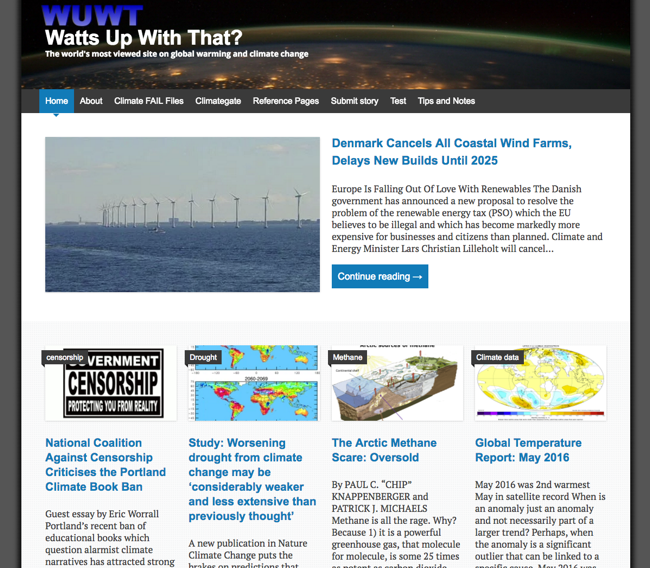 One of the largest climate change and global warming websites on the Internet, Watts Up With That was started by a former meteorologist. Examining the intersection of scientific study, public policy, and environmental sciences, the site provides a peek into the climate change debate and the driving forces that’s reshaping our environment. 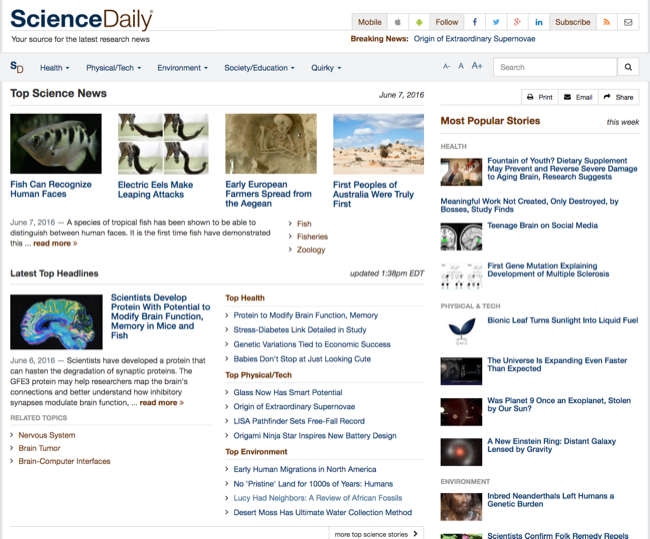 Science Daily has it all – top daily headlines, health, physical sciences, technology, environment & biology, science education… and just about every science under the sun. For me, it’s the science site I check before all others. Debunking bad science is an important part of promoting sound science, because sometimes bad science is hard to recognize, even for scientists. Junk science is dangerous, and people who take the time to do this in a reasoned, logical manner should be promoted. 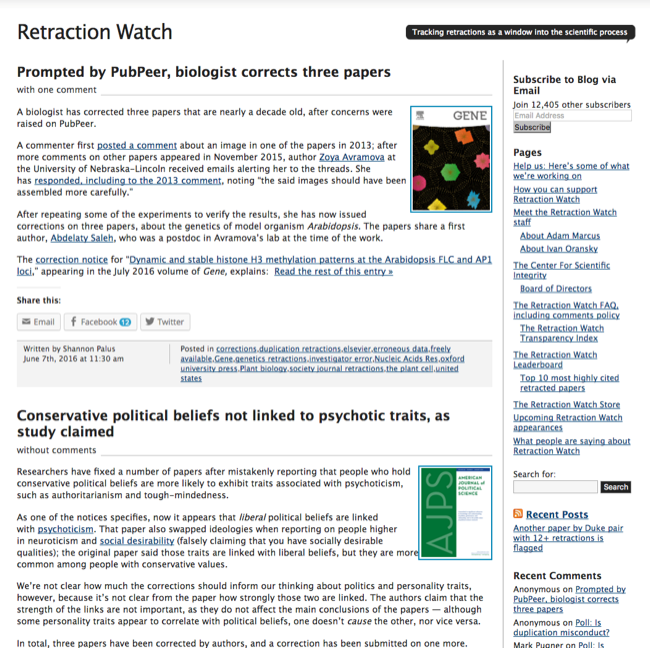 Since launching in 2010, Retraction Watch has reported on hundreds of retractions in the research community. The site aims to increase the transparency behind the retraction of research papers. Too often, the retraction process is not well publicized, which can negatively impact scientists who may be making decisions based on invalid findings. Pioneers in space exploration and scientific discovery, Nasa has inspired generations to look to the stars and wonder. Through the eyes of the International Space Station, The Hubble telescope, and last year’s New Horizons spacecraft that made a famous flyby of Pluto, Nasa.gov gives space junkies a peek ahead in the horizon for space. 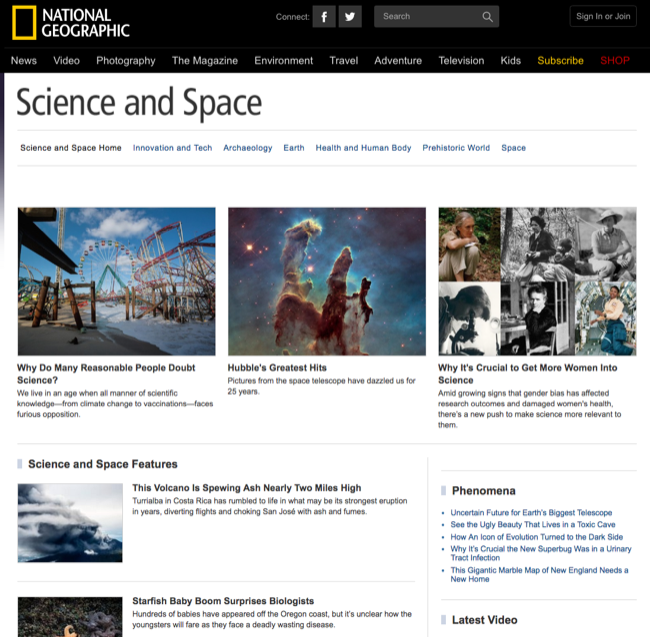 Covering branches of science including physics, space, biology, and technology, Phys.org is the place to dive deep into the trenches when exploring topics in-depth. You can really get lost in a rabbit hole by following citations of source material or read coverage on scientific breakthroughs from major research labs around the world. The time to vote has begun! Cast your ballot below for the science website you think is the best. Voting will close on Friday morning. The top three winners will be announced shortly thereafter.